Easy Paleo Chicken Curry In a Hurry. Do you know what… we really really love curry! The flavours in our Easy Paleo Chicken Curry rock! Since we are writing about curries it seemed like a good idea to google ‘the history of curry’. We’re random like that, google is our friend. So the term ‘curry’ is the western name given to an assortment of dishes created in Southern and Southern Eastern Asian countries. Their common feature is the combination of spices and herbs, usually with chillies! This is why the Thai, Indian and Fijian curries are called curry but taste oh so different (we must say that they are all equally delish!). Anyway, this curry is not really a traditional curry but it tastes amazing and is easy peasy to make! The two necessary qualities of a true merrymaker meal! We hope you like it! 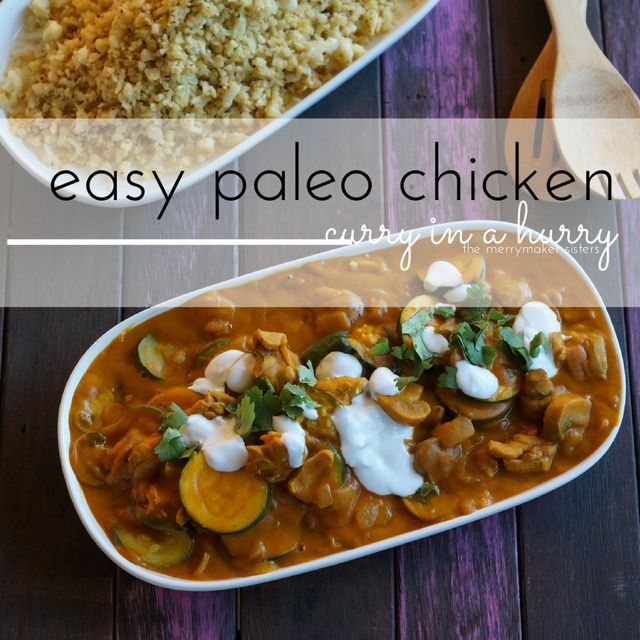 We’ve been seeing a heap of delish photos of our Easy Paleo Chicken Curry on social media! 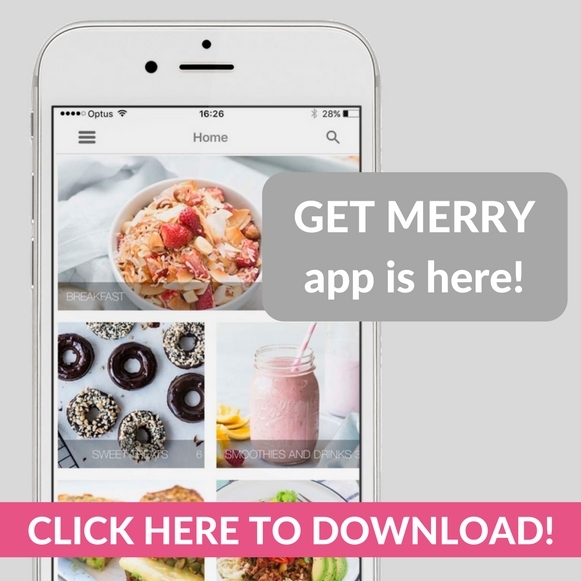 So don’t forget to share your photos on instagram or facebook #TheMerrymakerSisters so we can share our fave pics (we love them all!) and get huge smiles! In a high heat saucepan melt the butter. Add the onion and spices and sauté. Turn down the heat to low and add the pureed pumpkin and water. Stir until combined and then cover and allow to simmer for 15 minutes. At the 10 minute mark, add the zucchinis and mushrooms. Serve with a dollop of coconut yoghurt, fresh coriander and a side of cauli-rice! 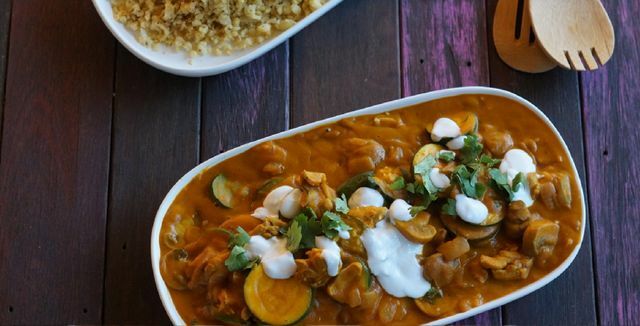 Make sure you make enough for leftovers... curries are always better the next day right? !